The evolution of the LENS design continues as the Michael Maltzan Architectural team unveiled their latest attempt to put something out there on the $50 million jogging track/walk to nowhere that might generate some enthusiasm. They added some shade, an undeveloped beer garden, and a slab up front for restaurant that may or may not get built. The Mayor was exuberant saying "I always wanted an eating experience at the end of the Pier." "The design", he added, "is starting to evolve into something that people can grasp and get excited about". "No one can say it is a sidewalk to a gelato stand anymore." Nope. Now it's a sidewalk to a beer garden. I am sure Jim Kennedy will think it's a major improvement especially if it stays open until 3:00AM. Maybe the Coney Island folks can grab the beer garden spot, now that would drive some traffic to the LENS. It is unclear at this point if the beer garden will be part of the actual build or there just be a hole in the design so someone else can build it. Probably not a very viable business opportunity. The upland "restaurant" is really just a slab, no walls as the City's managing director of Development Chris Ballestra was quick to point out. Usually you build the walls, leave the floor for the tenant to build out, but then this whole thing has been backwards from the start. After saying The City of St. Petersburg is not in the restaurant business, Ballestra did point out there is $750,000 in the Pier budget to help build the restaurants. Any guesses as to which one of our fine Beach Drive entrepreneurs will grab that money? Lot of talk about wrapping the LENS into the waterfront master plan. Don't be confused, that is just Gov speak for getting their hands into another pot of money because this oinker is in real trouble. Still a lot of disagreement between Danner, Nurse and others about putting in playgrounds and other amenities on the upland or just putting up a sign that says "If You Really Want To Have Fun Head Over To North Shore Park". Maybe we should build a beer garden over there. How will we know when the design has reached its maximum state of ridiculousness? When the design team excitedly unveils the new deluxe Pelican Feeding Station with credit card and cell phone friendly feed dispensers and a sloped automatic cleaning floor. Estimated cost $1.5 million. Those pelicans can create quite a mess. Should The New School Superintendent Be Caving In To The Teachers So Soon? The new teacher evaluation system continues to create a fire storm among teachers. The system appears to be rife with problems and everyone from the superintendent to the school board is putting as much distance as they can between themselves and the evaluation system. Since everyone generally agrees that the system has serious flaws, the question arises as to why the new Scholl superintendent would feel constrained to write a letter teachers can request and put in their personnel file that contains some language about how screwed up the new system is and their low evaluation score may not be their fault. For more detail Curtis Kruger from the Tampa Bay Times has a good article For Pinellas teachers upset about evaluations, superintendent writes letter of explanation. The problem I see with this approach is once in the file, the letter will stay forever. Any teacher with a nickel's worth of sense will want one of these letters in their file, regardless of their evaluation score, because the first time any action is taken regarding their performance out the letter will pop. The entire conversation will shift to the evaluation system and that is precisely what the teachers union wants. Does not matter if it is next week or five years from now. Superintendent Grego is about to find out how good the Pinellas County teachers Union is. They have run the show here for years and if he caves in early he will be just as ineffective at cleaning up the school system as his predecessors. Everyone knows the evaluation system the Administration created is flawed. There has certainly been enough press. The Union made sure of that. Grego and his Administration should quickly go back through the evaluation system and get a revised proposal to the State as soon as possible. Let's stop apologizing, creating documented excuses for poor performance and just get it fixed. Then there is also the left hand chance that the system is more accurate than the teachers want to admit and the poor performers really are - poor performers. Speaking of the Administration, if Grego hasn't already started a major house cleaning, the party is already pretty much over. Snuggling up to the union has never worked out particularly well for Pinellas County School Superintendents, I doubt things have changed. A week or so before the election Theresa and were walking through Tyrone Mall when a familiar head appeared above the crowd. 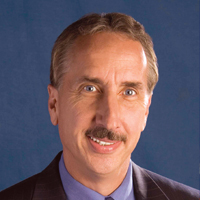 It was the "tall guy" as we all called him when he was Mayor, Rick Baker. We both worked for the Mayor during his two terms so after a quick hello the first question we both asked almost simultaneously was "are you going to run for Mayor?" The former Mayor's response? A twinkle in his eye and "I get that question a lot". "Well"? we asked. Rick replied "don't know yet, but I'll admit I'm thinking about it". At that point the presidential election was still undecided and Baker indicated he was seriously under consideration for a Cabinet post should Governor Romney win. So in typical Rick Baker style again the smile and "We'll just have to see." A lot of what we talked about I would consider off the record at this point, but the former Mayor turned very serious when he talked about what has been going on with current administration. He is concerned about the lack of leadership, and the current seeming ineffectiveness of City Council and general lack of progress. Among his biggest concerns seemed to be his perception of a lack of continuing progress in Mid Town. From eight years working in the Baker administration I can assure you he was and is serious about Mid Town. Rick Baker looks good. He has put on a few pounds. According to the former Mayor he is really enjoying his current work at USF and spending quality time with his family. Current biggest impediment regarding a mayoral run - convincing his wife. You cannot spend even five minutes in Rick Baker's presence without getting excited about the future. From the very first day I met him I noticed the man exudes a contagious energy. And that energy and leadership are what is lacking in the current administration. The conversation lingered on for the better part of a half hour covering a wide range of subjects from baseball to the LENS. I'll leave the details to the former Mayor to reveal publicly when he feels it is proper, but it is safe to say Rick Baker has already formulated some ideas about most of the City's major problems. As the conversation wrapped up we could not help but try one more time and asked, "So are you going to run for Mayor?" Once again that infectious smile and then: Baker looking pretty serious said, "well it may depend on who runs. There are certain conditions where I might be obligated to get in the race." With that a quick handshake and the former Mayor was off on his shopping trip. Theresa and I had a lot to talk about on the way home. Photo Credit Univesity of South Florida. e-mail Doc at dr.webb@verizon.net, or send me a Facebook Friend Request. The word is back from the external audit of the Hilton Impact fee issue. The outside audit firm Mayor, Hoffman McCann P.C. concluded there were no improprieties. This external audit only looked at the auditing methods used in previously evaluating the impropriety and random sampled impact fee cases. All of which goes to show if you narrowly draw the external audit parameters you can pretty much get the results you want. St. Petersburg tax payers are $50,000 poorer, Don Tyre, the guy with the short memory who cut the Hilton the break, is still drawing his salary and headed for a retirement ride on the tax payers dime and we still don't know what happened. Another attempt to bury the issue failed. Council member Danner wanted a Resolution that essential excused Tyre from any "guilt", never mind the fact he IS the guy who made the change. Wisely Council did not side with Danner. I am sure there are a lot people at City Hall, Including the Mayor that would like to see this issue go away. But I don't think it will. Why would you keep Tyre on the payroll? He committed an improper act. Why not just fire him? Let's get this thing into court and see if Mr. Tyre will incriminate himself in front of a judge. In my limited experience with the legal system, a faulty memory is not usually a good defense. I don't think anyone in the administration wants to see this thing in the legal system. That is likely why the Police Department was never asked to investigate. The threat of some jail time might seriously refresh Mr. Tyre's memory. Mr. Tyre is still on the payroll because it is in somebody or somebody's' best interest to leave him there. The Mayor has no stomach for these issues, City Council has had more than enough, the taxpayers have been denied both money and justice, Mr. Tyre is seemingly safe and secure in his job: nothing is right in this world. Will we ever know what happened? Not likely, unless, Mr. Tyre decides to write his memoirs, after he retires of course. Once again the LENS Team lead by Chris Ballestra found itself on the opaque side of transparency. Weaverly Ann Moore writing in the Tampa bay Times has a story Scientists criticize lack of transparency in Pier plans. This is the second time the LENS team has tried to slip one past the people monitoring the project. Early in October in what appeared to be a simple appropriation for Skanska, the construction management company, City Council caught an additional $60,000 neatly tucked away. See my Post The Lens The Real Game. There has been an ongoing history of duck and hide on this project. Ballestra is proving to be a master at hiding stuff he does not want the public to know. Internally he has a reputation for bending the rules. The real question is: is he operating on his own or is he getting direction to be deceptive and if so from whom? Every appropriation will need to be carefully scrutinized. Every meeting must made public. Quoting from Weaverly's article: "I think there is secrecy. It doesn't seem like a wise thing, considering the emotion and controversy involved," said Walter Jaap, a retired Fish and Wildlife Research Institute scientist, who now works as a consultant. The last thing the LENS team wants is a lot of public scrutiny. With 23,000 petitions already signed and summarily rejected by a disingenuous City Council, and an active new petition drive to stop the project, every effort will be made to keep any authoritative dissenting voices out of the mix. Apparently the LENS team missed politics 101 - the more you try to hide and cover up the worse you look. The Mayor needs to put a collar on Ballestra. Appropriations, meetings and the process should be well vetted and very public. Right now they are not. The push must be for more transparency, not less. It may be time for a change. If you can't trust the guy leading the effort, how can you ever expect to gain the public's confidence?